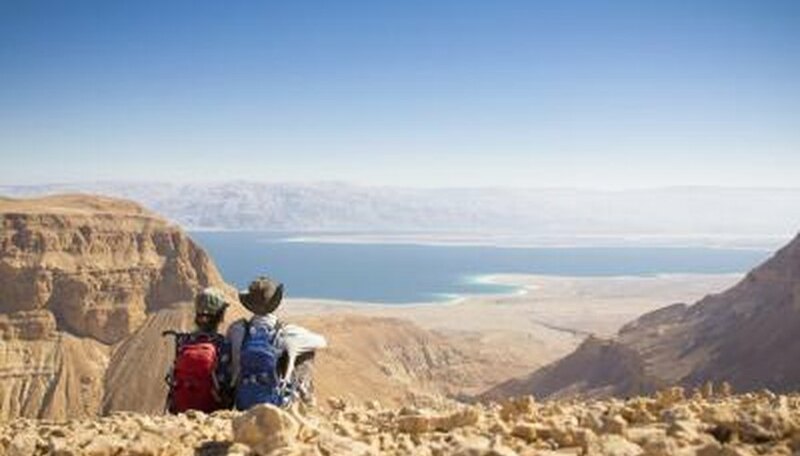 When it comes to dating and marriage, Israel is a country with three major populations: secular Jews, Orthodox Jews, and Arabs. Eighty percent of Israel's 7.3 million population is Jewish; the remaining 20 percent, or 1.4 million Israeli citizens, are Arabs, most of whom are Muslim, with a small minority of Christian and secular Arabs. The "hiloni" are the secular Jewish population, who make up approximately 75 percent of Israel's Jewish population, while the "dati," Orthodox Jews, comprise the other 25 percent. Not included in these statistics are an additional 4.1 million Arabs who live in the West Bank and Gaza. Each community practices widely divergent dating customs. The term "secular" is a bit misleading, as most Israeli Jews identify themselves with Judaism and practice some religious ritual. The term is used to distinguish them from the scrupulously observant Orthodox, whose lifestyle is determined by strict adherence to Jewish law. In terms of dating, for example, secular Israelis generally consider dating non-Jews a taboo, although they are most likely to pursue dating and courtship rituals that are similar to those practiced in the United States and Europe. Men and women mix freely in secular Israeli society, including several years of mandatory army service after high school, and are likely to date people they meet through casual social connections. Internet-based dating services such as jdate are also used. The Orthodox Jewish community in Israel is not monolithic either, and many will date through social contacts, although the dominant mode of courtship--particularly for the ultra-Orthodox, or "haredi" Jews--is the traditional matchmaking process, the "shidduch" process. Recreational dating is frowned upon, and dating only begins when each party declares readiness to find a marriage partner. An intermediary ("shadchan") proposes a match, and the young couple will arrange a meeting in a public venue such as a public park or even a hotel lobby. Physical contact between the couple is strictly forbidden, and the couple is expected to determine their compatibility for marriage within a short period of time. Arabs in Israel and in the occupied territories are principally Muslims, observing traditional dating practices that are generally more patriarchal in character. Like in Orthodox Jewish society, men and women are more segregated, and parents have far more say in the marriage choices of their children. The small minority of secular and Christian Arabs are more likely to pursue western courtship rituals, but the influence of traditional Middle Eastern culture is pervasive. A strong taboo against interfaith dating is maintained in Israeli society, particularly among the more religious elements of both Jews and Muslims. This taboo is less pronounced among secular Israelis, where interfaith marriage is sufficiently common to motivate some Jewish men to establish vigilante patrols to guard against contact between secular Jewish women and Arabs, as discussed in a 2009 story broadcast on National Public Radio (NPR). Marriage is the favored status by religious groups in Israel, as indicated by 2008 statistics: marriage rates are highest in regions populated by religious Jews, and lowest in more secular communities. The overall marriage rate in Israel was 55 percent. The median age of first marriage is increasing: in 2007, the median age was 27.6 for grooms and 25.3 for brides, up from 24.8 and 22.0, respectively, in 1980, indicating that higher education and pursuit of career options are increasingly important for Israeli young adults. Almoni, Ploni. "Israel Dating Facts." Dating Tips - Match.com, https://datingtips.match.com/israel-dating-6767882.html. Accessed 22 April 2019.